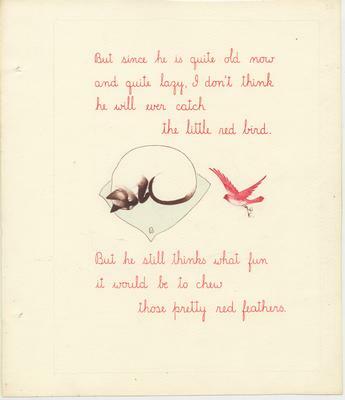 But since he is quite old now and quite lazy, I don't think he will ever catch the little red bird. 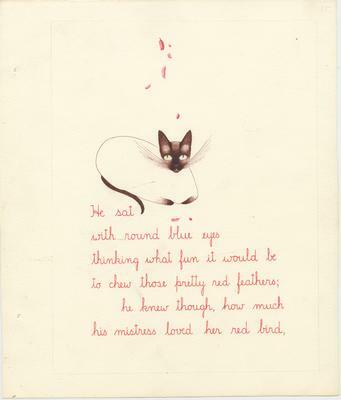 But he still thinks what fun it would be to chew those pretty red feathers. 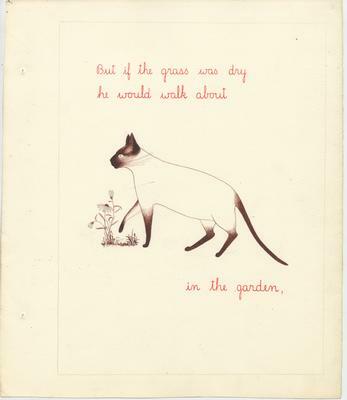 He is an old cat now. 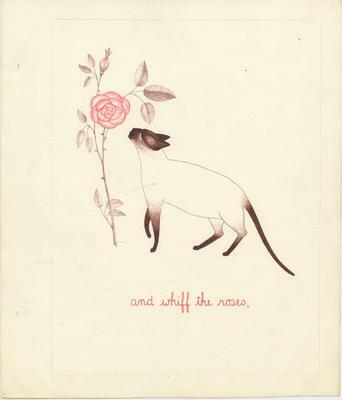 He still whiffs the roses, and sniffs the pinks, and plays with little insects, and sleeps on his mistress' pillow, and tickles her face with his whiskers, and chases the pink tassel, and watches the red bird. 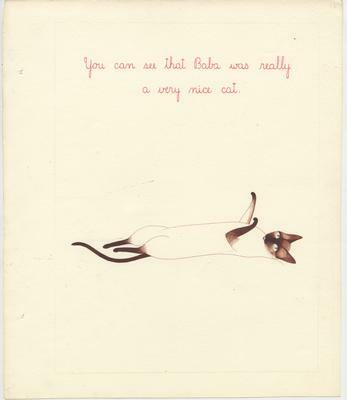 You can see that Baba was really a very nice cat. 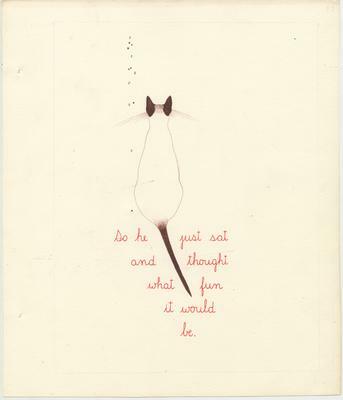 So he just sat and thought what fun it would be. 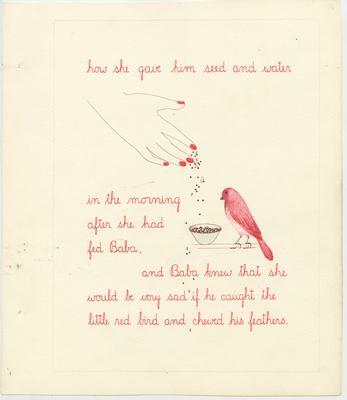 how she gave him seed and water in the morning after she had fed Baba, and Baba knew that she would be very sad if he caught the little red bird and chewed his feathers. 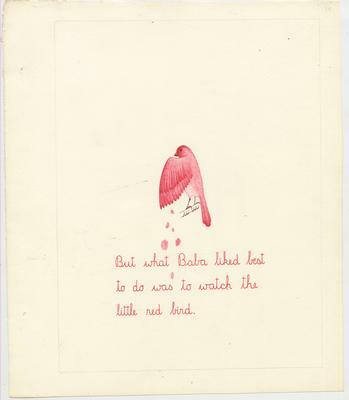 But what Baba liked best to do was to watch the little red bird. 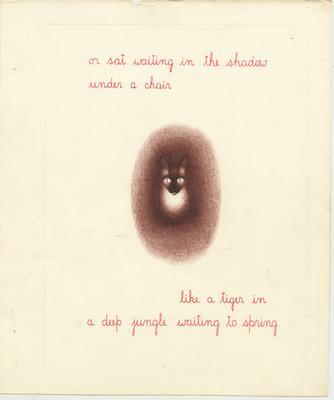 or sat waiting in the shadow under a chair like a tiger in a deep jungle waiting to spring. 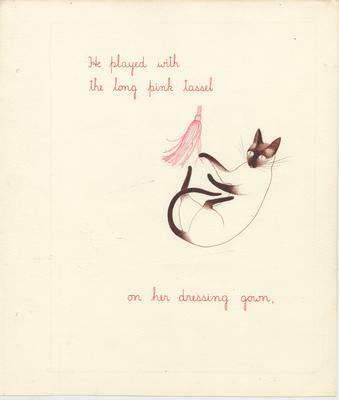 He played with the long pink tassel on her dressing gown. 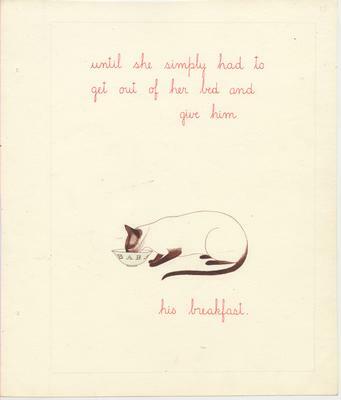 until she simply had to get out of her bed and give him his breakfast. 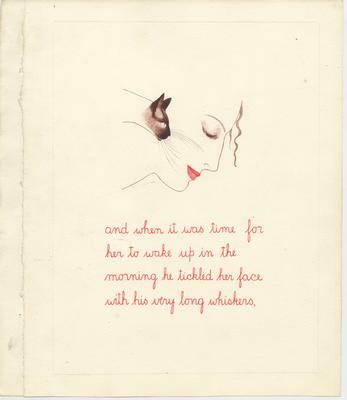 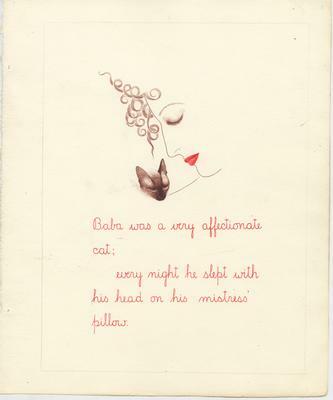 Baba was a very affectionate cat; every night he slept with his head on his mistress' pillow. 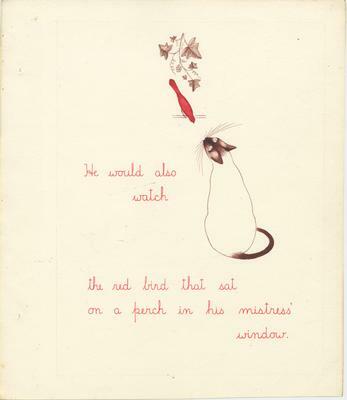 He would also watch the red bird that sat on a perch in his mistress' window. 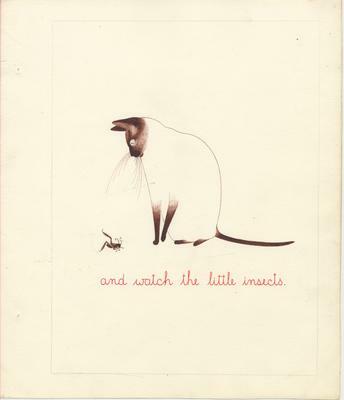 and watch the little insects. 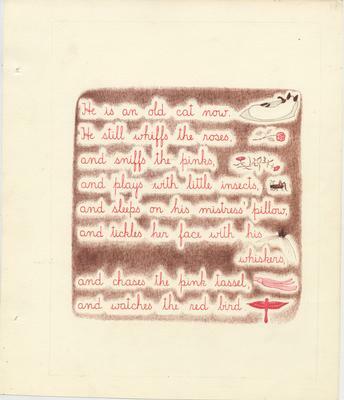 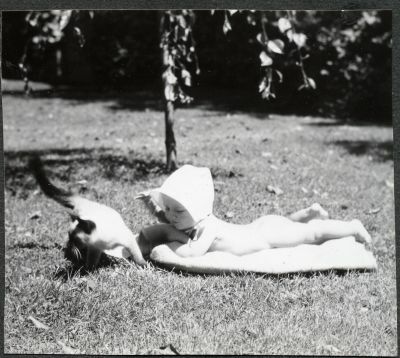 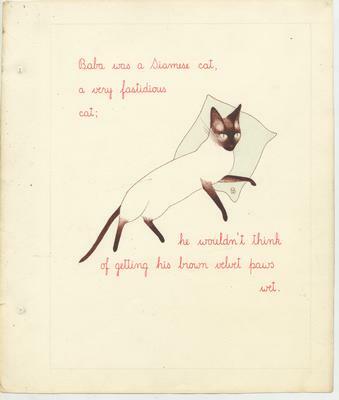 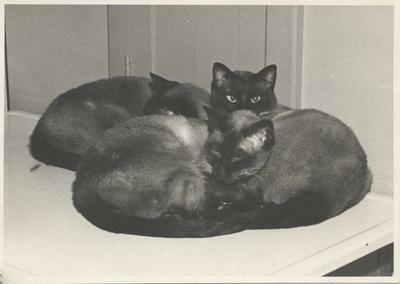 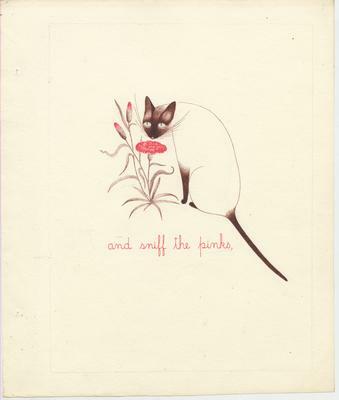 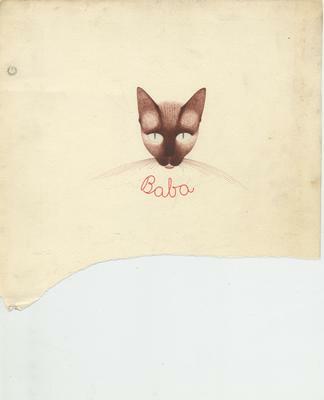 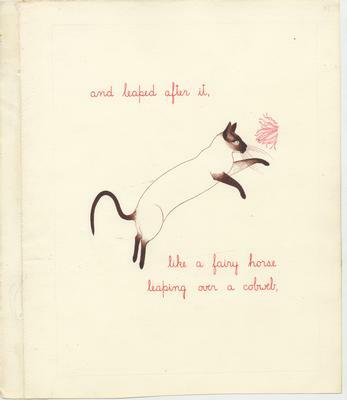 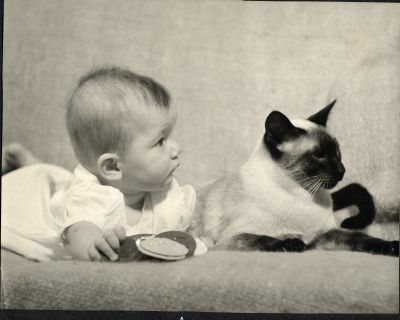 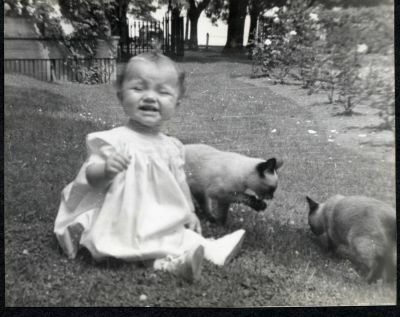 Page 1 of the book "Baba"
The Chisholms had an affinity for Siamese cats--this affinity is documented in several photographs where the cats play a predominant role. 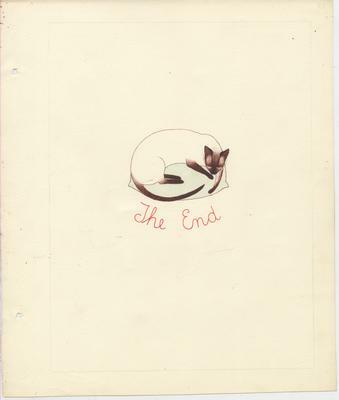 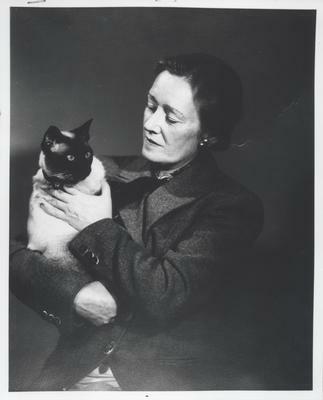 As such, Juliette wrote and illustrated a children's book that tells the tale of a precarious cat that could indeed be based on a dearly loved family member.